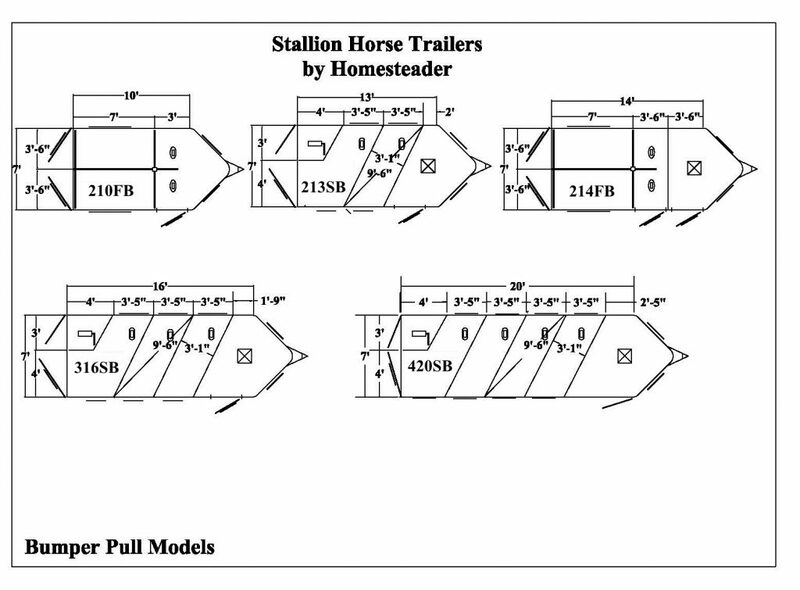 Stallion horse trailers are designed for today’s equestrian enthusiast by horse enthusiasts! 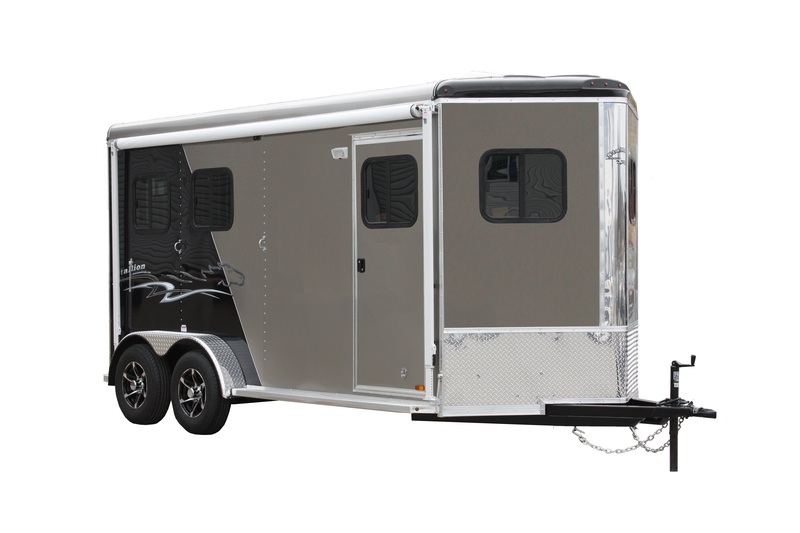 The Stallion horse trailer is constructed to meet the challenges of interstate travel while giving comfortable transportation to your valuable cargo. 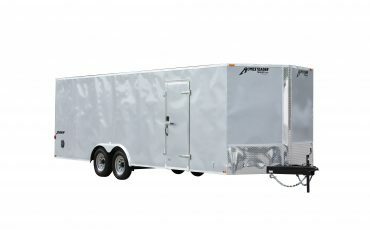 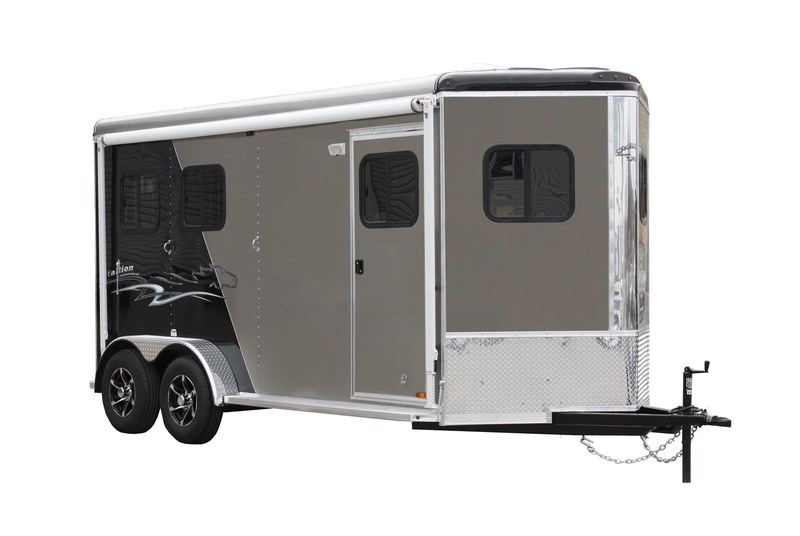 Designed into the Stallion horse trailer, you will appreciate the beauty and durability of the all-aluminum exterior and aluminum-lined interior. 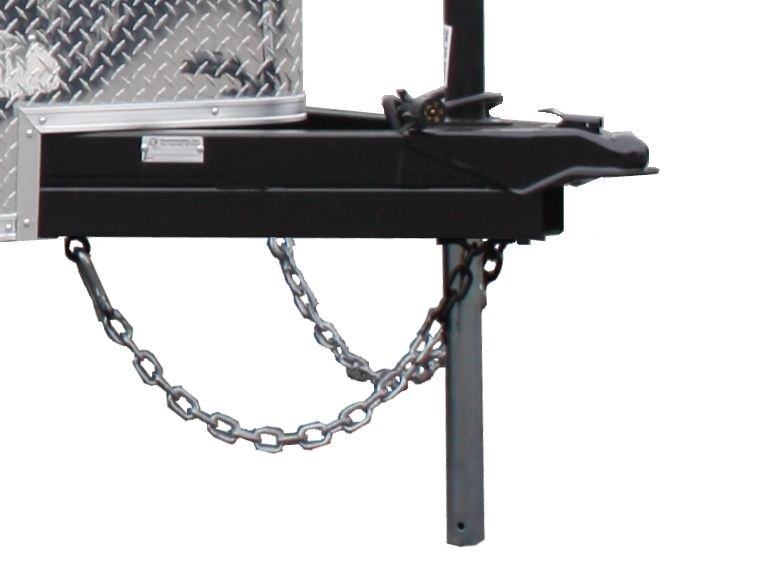 Underneath that beautiful exterior is a very strong all-steel framework designed for years of use. 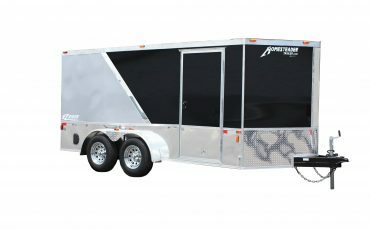 The best of both worlds is in the Stallion horse trailer, the beauty and durability of aluminum and the strength of steel. 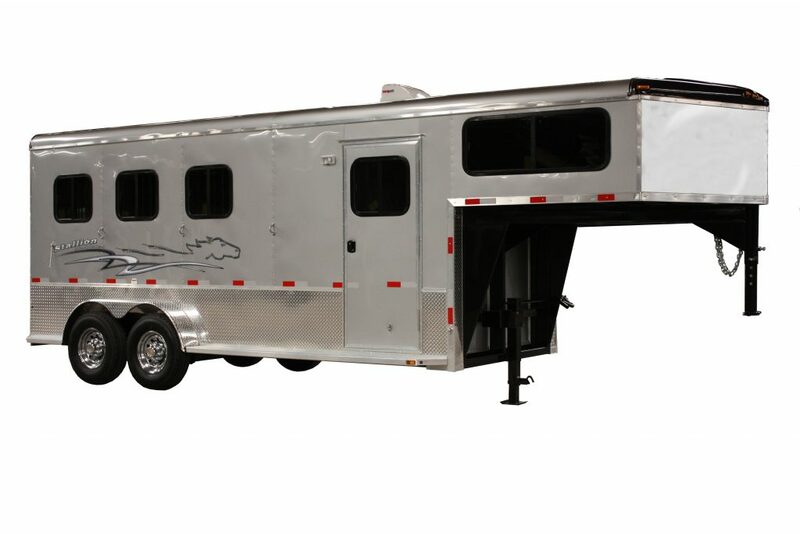 In order to ease travel and to yield more interior space, an aerodynamic Vee-nose is standard equipment on all Stallion horse trailers. 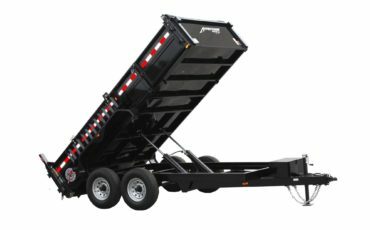 For an easy ride, the Stallion horse trailer comes standard with rubber ride torsion axles and radial tires. 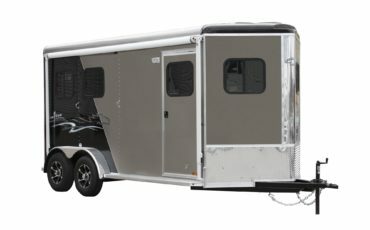 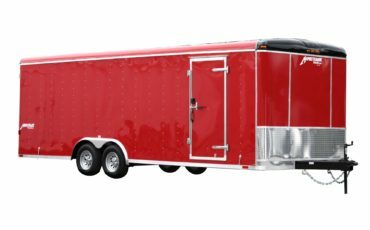 Once you open the reinforced doors of the Stallion horse trailer you will see that comfort was on the minds of the designers of this magnificent horse trailer. 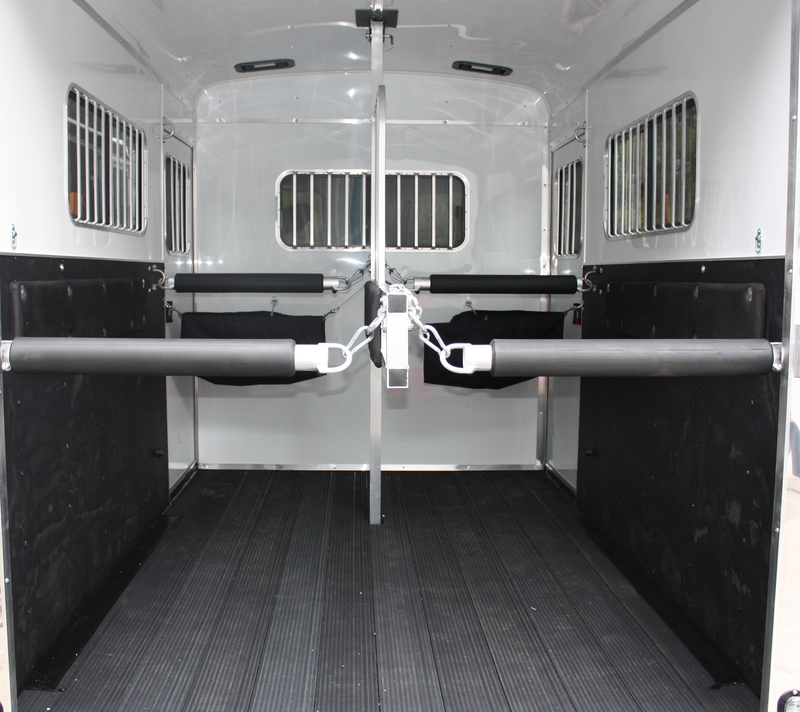 When your horses step inside, they will appreciate the extruded rubber flooring system in the Stallion horse trailer. 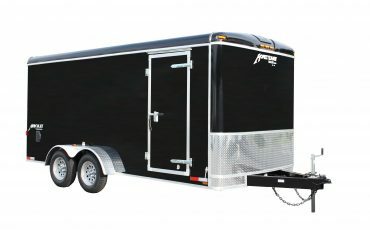 Extruded rubber flooring is the premier flooring system for horse trailers today. 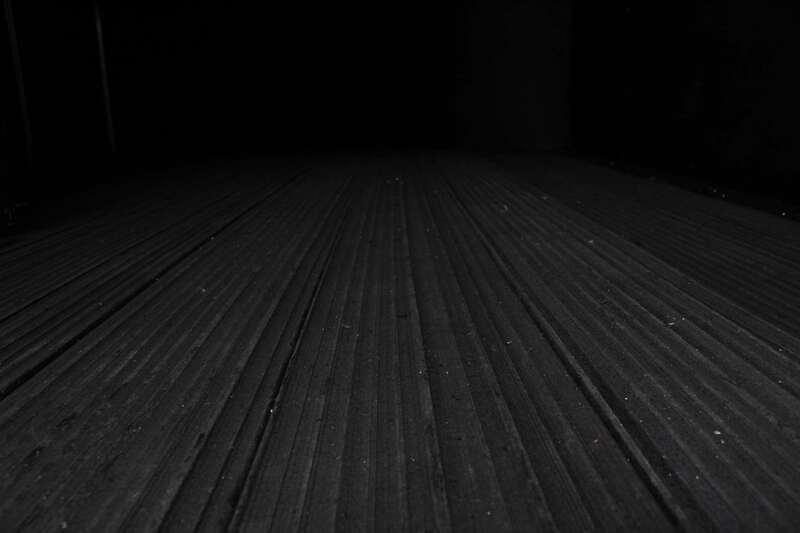 Unlike wood, Extruded rubber flooring will not rot or decay. 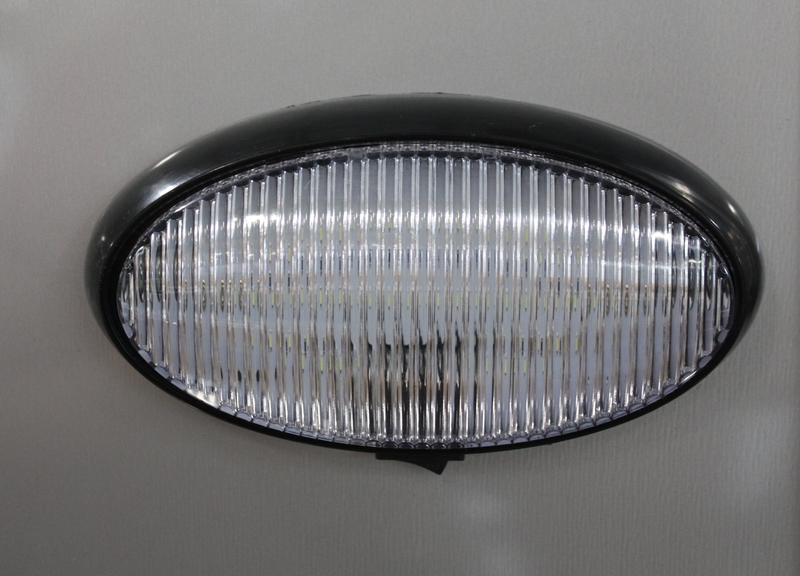 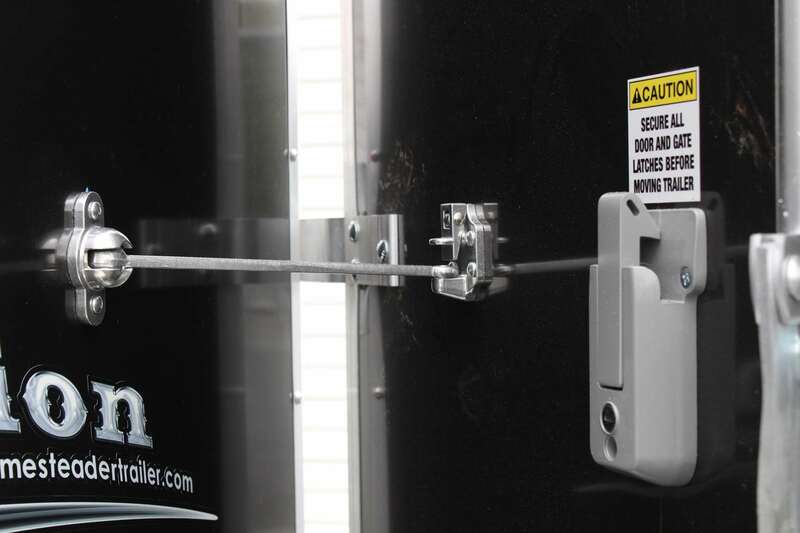 It comes with a 20-year warranty from its manufacturer. 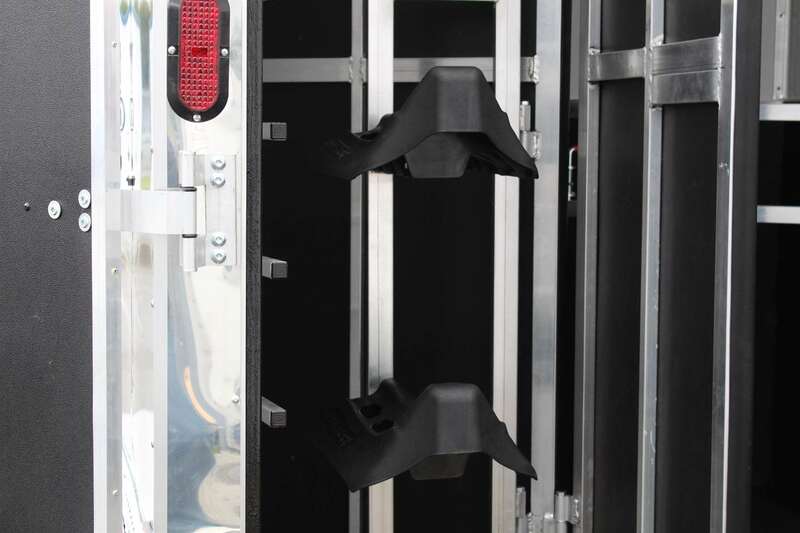 Extruded rubber flooring gives a cushioned ride to your horse, while being rigid enough that he will not slide. 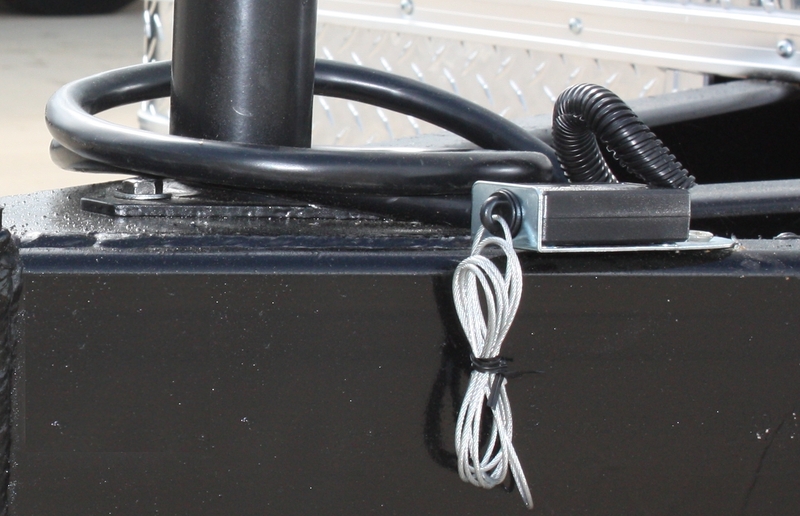 Extruded rubber flooring does not wad up as rubber pads can do. 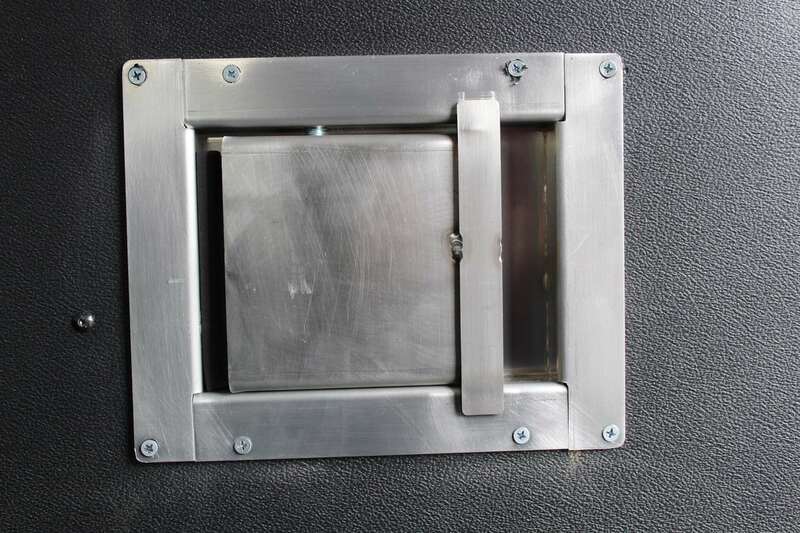 No pads are necessary with this flooring system. 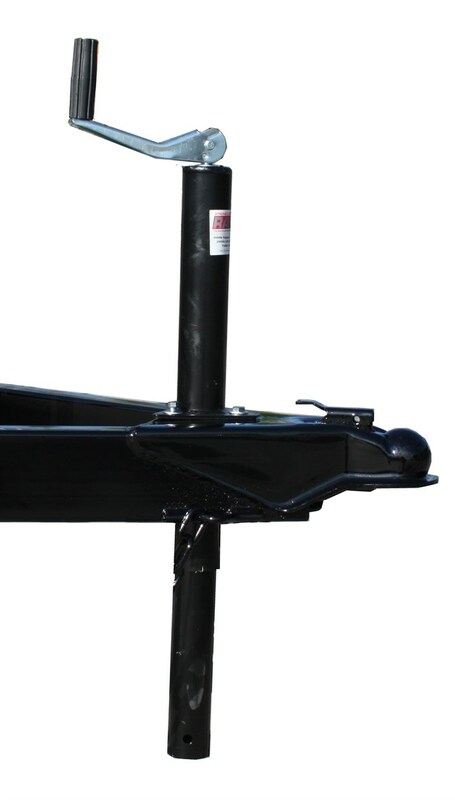 Cleaning the floor is as easy as operating a water hose. 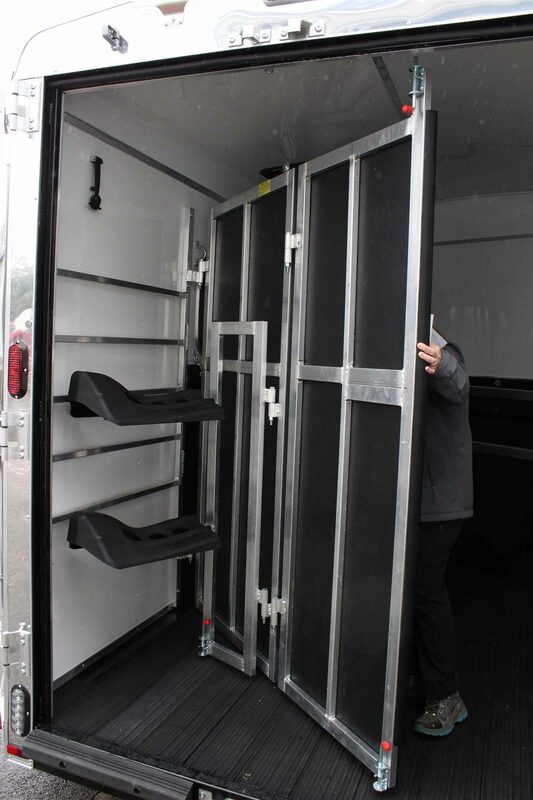 As you work your way around in the stall area you will appreciate the 4′ high reinforced wall pads, and the padded divider gates. 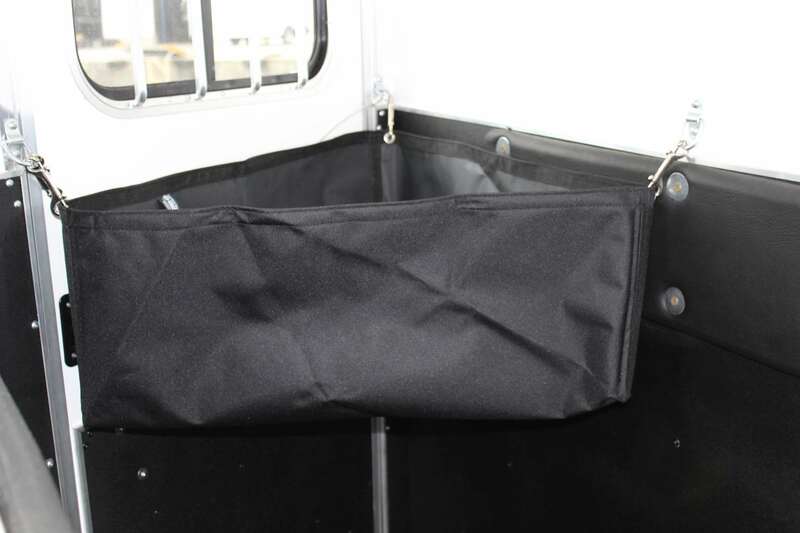 Manger feed bags and tie hooks will ease your travel plans. 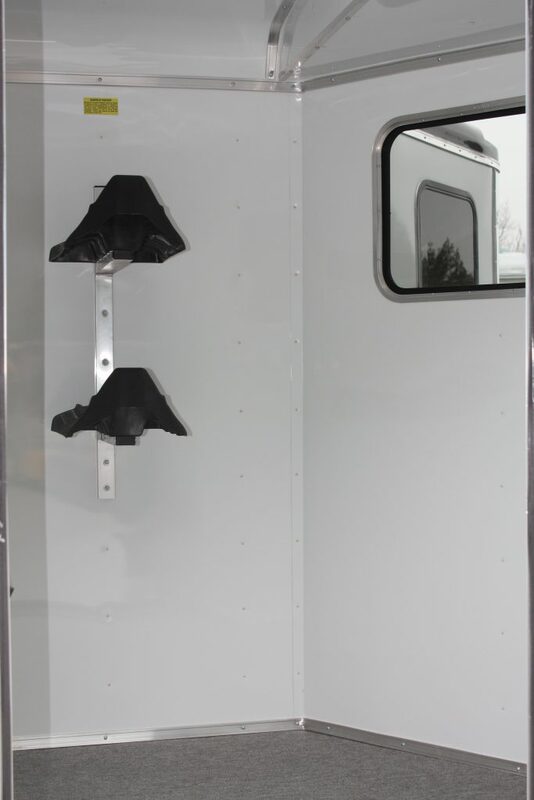 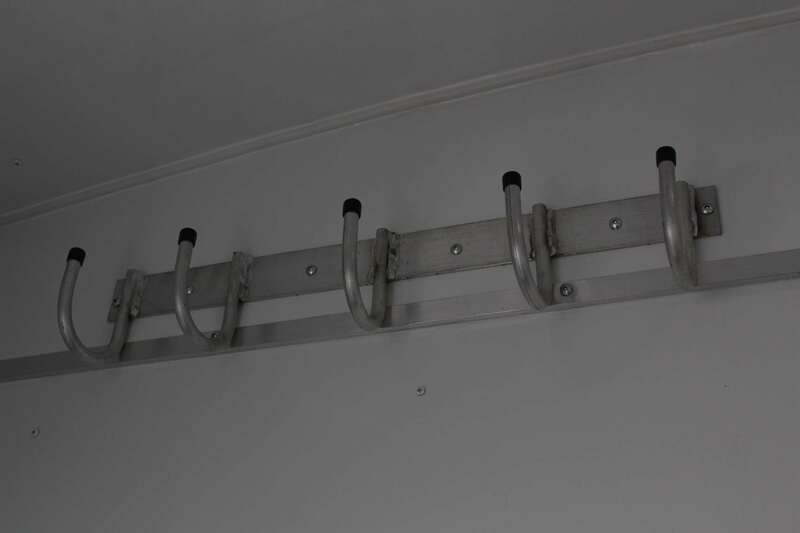 Drop down feed windows are standard equipment, on slant load trailers, and they do include separate bar guards to keep your horses head inside the trailer as you travel. 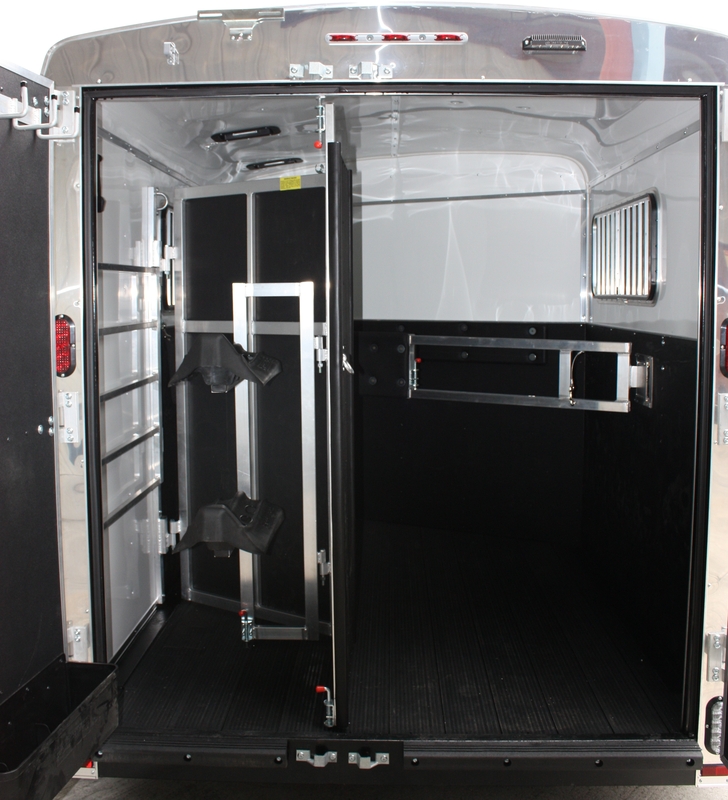 All windows are tinted to minimize glare to your horse. 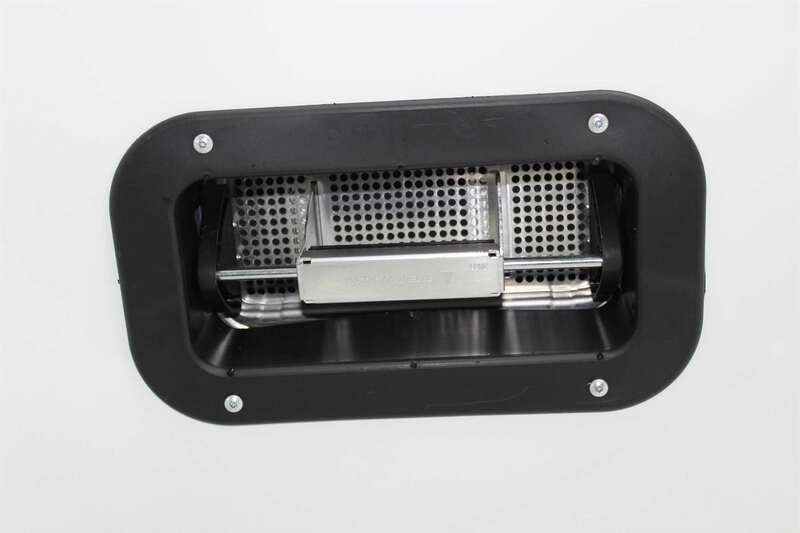 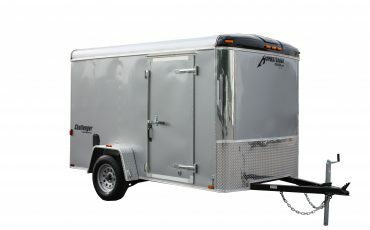 Ventilation is very important and the Stallion horse trailer is designed to maximize airflow. 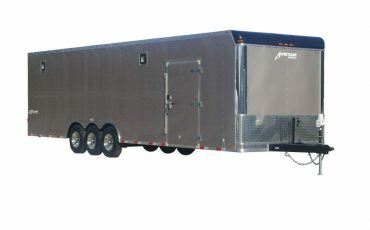 All windows either drop down or slide to allow for maximum airflow. Two-way roof vents are standard for each horse stall. The Stallion horse trailer is very functional for today’s horse trailer market. 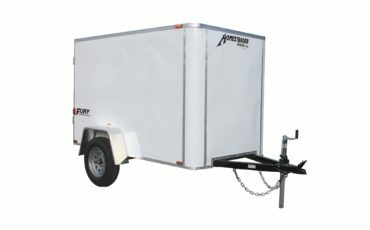 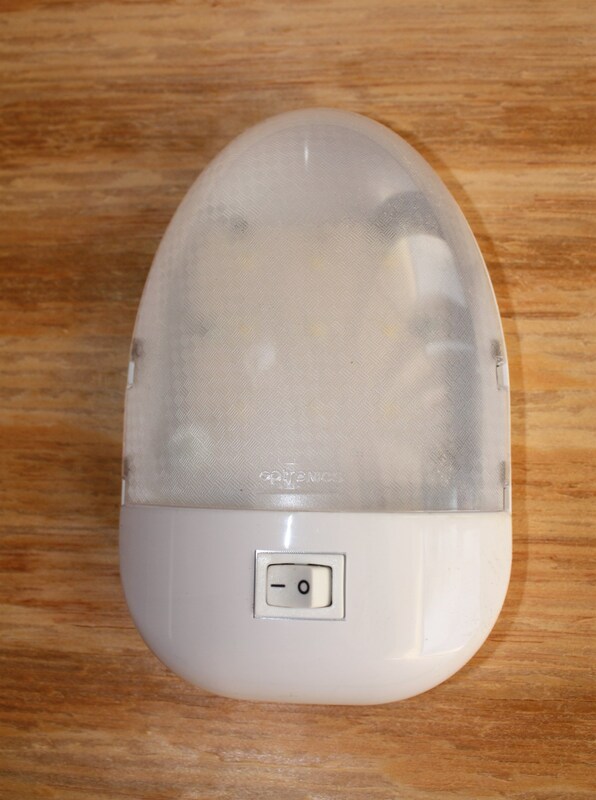 It is designed to give safe, comfortable transportation at an affordable price. 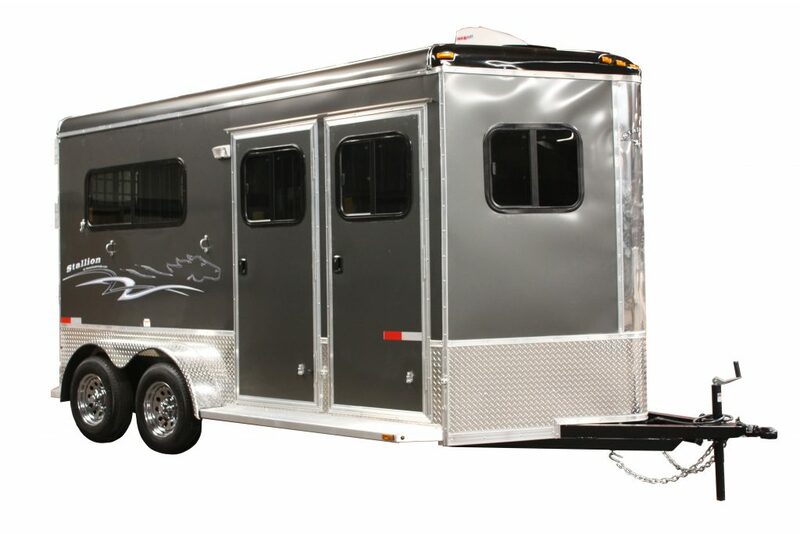 We are confident you will agree that the Stallion horse trailer is a tremendous value and a marvelous trailer! 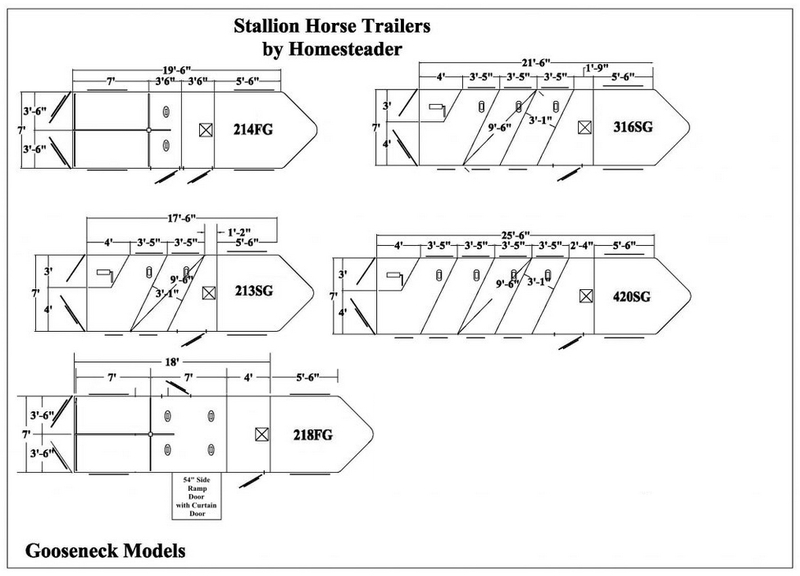 For more information or to purchase a Stallion horse trailer visit your nearest authorized Homesteader Dealer.